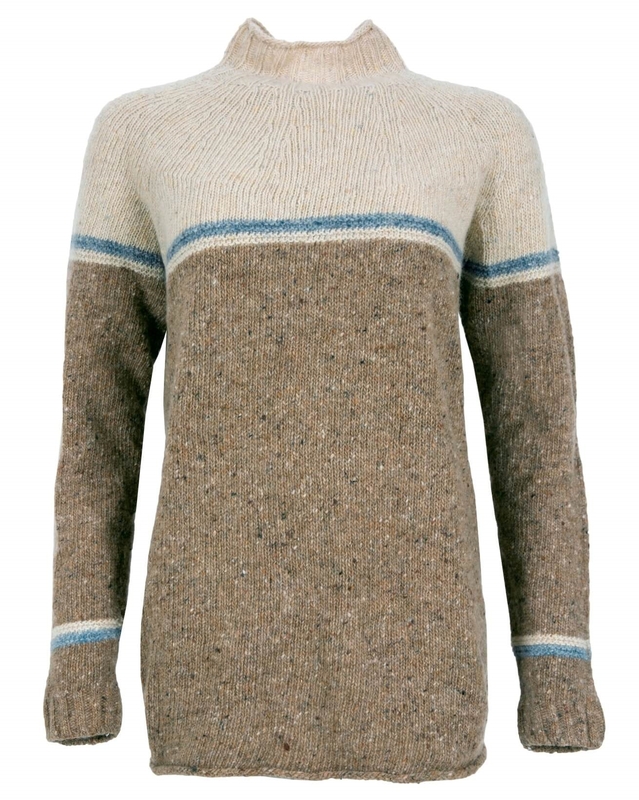 Crafted from the success of our existing funnel neck jumpers, we have developed this flecked version in 100% Donegal wool. 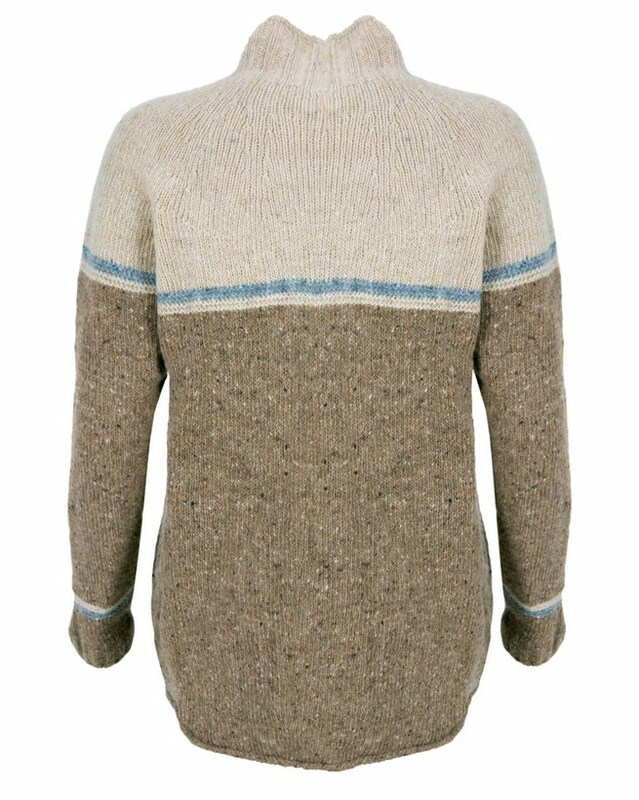 With it's flattering length, long sleeves and a funnel neck design in earthy and neutral tones, this jumper references the colours and textures found in our surrounding coastlines. Style with your favourite jeans and Celt Boots for a fresh Sunday stroll. Another wonderful jumper from a lovely company, thank you. Based on other reviews re. sizing, I ordered size 14 which is a perfect fit. Arrived according to info. given, packaged well. I love the style, colour & texture of the donegal wool which is also beautifully warm. Lovely. Light and comfy, yet still warm and cosy. My flecked funnel neck sweater is in the most fabulous colours, the quality is just outstanding ( so very soft and cosy ) and it looks just great on me ( a petite 5ft 3 so ordered the XS , which is a perfect but costly roomy fit ). I will definitely be ordering again I was so delighted!